The Martin Harris Centre for Music and Drama is at the centre of the University’s campus on Oxford Road and is situated behind the Manchester Museum. The Martin Harris Centre sits at the heart of The University of Manchester's Oxford Road campus. The Centre is approximately one mile south of the city centre. There are two entrances to the building, one on Bridgeford Street, the other on Coupland Street. Please note that there is pedestrian access only to both of these streets. The Cosmo Rodewald Concert Hall, the John Thaw Studio Theatre and the John Casken Lecture Theatre can all be found within the Martin Harris Centre. All approach routes for cars travelling to the University’s campus are clearly signposted 'The University of Manchester'. See here for Full directions. 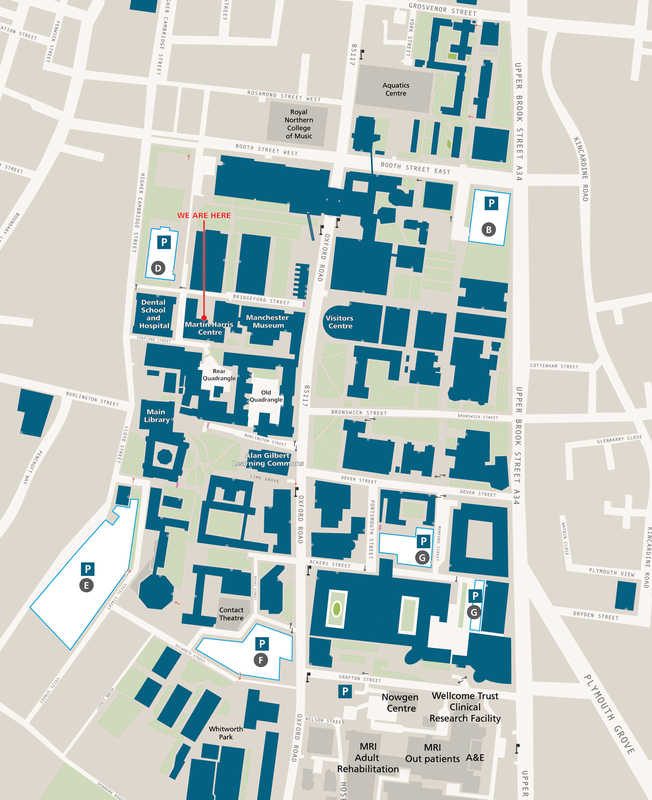 Please do not rely on your satellite navigation system to find the Martin Harris Centre, as our postcode covers the entire University of Manchester campus. As an alternative, we would advise patrons to use Google maps. Car Park D (Booth Street West) is now accessed by Higher Cambridge Street rather than Booth Street West. Direct routes to Oxford Road run regularly from Piccadilly Gardens in Central Manchester. Routes and timetable enquiries: 0161 242 6040.